Modular Wetland Systems, Inc. installed a single Modular Wetlands System Linear (MWS Linear) model MWS-L-4-13 at a large city maintenance yard in Portland, Oregon on April of 2010 for the sole purpose of entering into Washington State’s Department of Ecology Technical Assessment Protocol –Ecology, known as TAPE, for new stormwater technologies. The TAPE program provides a peer-reviewed regulatory certification or approval process for emerging stormwater treatment technologies, such as the MWS Linear. TAPE is also considered the standard protocol or benchmark for the nation’s stormwater vendors, designers and manufacturers in obtaining critical approvals needed for treating stormwater run-off on public and private development. 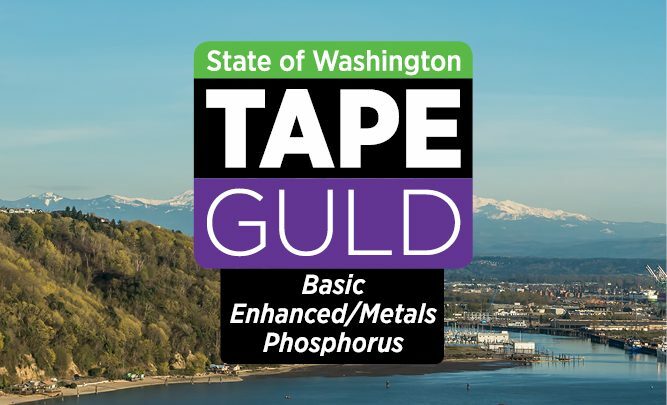 On April 1st, 2014 the MWS Linear BMP was approved by the Washington State DOE TAPE program and granted General Use Level Designation (GULD) for Basic (TSS), Enhanced (Heavy Metals –Zinc and Copper), and Total Phosphorous treatment regiments. The treatment regiments, as dictated by the 2012 Dept. of Ecology Storm Water Manual, allow the MWS Linear to be specified as a stand-alone BMP to mitigate these specific pollutants. At the time of this writing, the MWS Linear is the ONLY proprietary device to achieve General Use Level Designation for all treatment regiments. The TAPE certification process was designed to ensure that the approved treatment technologies meet applicable design criteria and performance goals for new development and redevelopment. TAPE certification means that the new technology, in this case, the MWS Linear has successfully met the TAPE performance goals, when properly installed, operated, and maintained. Although TAPE is a Washington State protocol there are far reaching influences, as several other states, counties, and cities use TAPE certification to determine whether a stormwater treatment technology can be installed within their jurisdiction. With our recent GULD certification, Modular Wetland’s “MWS Linear” is fast becoming the BMP of choice for stormwater treatment.